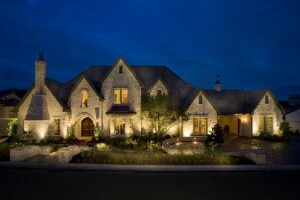 When you are selling your Glenville luxury home, you are marketing to a narrow niche of the home-buying public. They’re high-end customers, certain to be very smart, business-savvy—and they will know their own mind. They will be hunting for value, of course, because the asking price warrants it. But they will also be looking for a property that has elements that are unique—that appeal to buyers who hope to find a residence not duplicated elsewhere. Because of that characteristic of the market, there can be no one-size-fits-all, cookie-cutter approach that will be uniformly effective as a sales approach. There are, however, a few hallmarks that the most successful Realtors® have discovered are shared by the most appealing luxury homes. They boil down to value, exclusivity…and to story-telling. The exposure element is the more straightforward. It used to be that the only important element was to be had in print media: magazine, newspaper, brochure and flyer. Still important, today the much wider reach is had through internet and social media. Like all Glenville real estate prospects, buyers interested in the current crop of luxury homes are most likely to investigate using at least some online research before scheduling an in-person visit. And what they experience on the web will be influential in how eager they will be to make time for that visit. It goes without saying that for every Glenville luxury home web presentation, the quality of the imagery has to be first-rate—Professional real estate photographers do more than highlight key room features shot from eye-pleasing angles. The best know how to paint with light—to shape viewer experience by selecting the time of day and color of light and shadow that will convey mood. Sometimes a true online video tour, complete with well-produced music and narration tracks, can also be the most effective tool—as long as the online viewing experience is brief, intuitive and easy to navigate. But no matter which medium and format is pressed into service, the goal is always to create a viewer experience that is unique and memorable. And it should have a story. That ‘story’ could be anything from an interesting history to a setting or view that is, literally, unique. It can be an overpowering constellation of luxury home features, or a history of owners that includes prominent community or cultural luminaries. It can be standout architectural innovations, landscaping worthy of a Homes and Gardens centerfold, or a layout that just happens to be perfectly well-matched to a particular client’s family—any and all can qualify. The single indispensable part of the mix is that the property’s unique character comprises a story worth retelling. It’s human nature, after all every Glenville luxury home buyer, whether they realize it or not, would like to be able to tell friends and colleagues about their new luxury home! If you have a Glenville home with its own luxury story waiting to be told—or if you’re in the hunt for one—I hope you will give me a call! 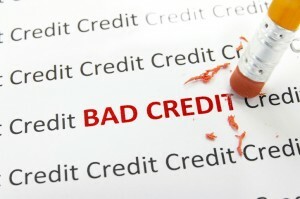 Clean Up Your Credit Report, then Buy that Glenville Home! For anyone who has looked into to buying a Glenville home several times—but kept getting discouraged every time because of a negative credit report—read on! You probably already know that you are not alone—but so what?—it’s small consolation, especially when you consider how much financial ground you lose every year you continue to pay rent (the entire amount of which has zero tax deductibility). Many people mishandle credit in their teens and 20s, not knowing how it can come back to bite them when credit reports determine their credit worthiness. In Glenville, we see the fallout in the form of mortgage application turndowns or discouraging interest rate proposals. It was a fairly good month for home buyers in the Lake Glenville, NC area. After all, the average listing price on homes in the area decreased and remained relatively low compared to neighboring communities. If you’re an interested Lake Glenville home buyer, I recommend you continue reading in order to get a good idea of current market activity. This knowledge will prove invaluable when it comes time for you to negotiate a buying price with a home seller in the area. Currently there are 194 resale and new homes on the market. During the week ending on December 28, the average listing price for Lake Glenville homes was $619,138, down 3.5 percent when compared to the week before. During that previous week, the average listing price was $641,677. Back in Lake Glenville, the average listing price for a 2-bedroom home was $391,241 during the week ending on December 28. The average listing price for a 3-bedroom home was $544,767. And the average listing price for a 4-bedroom home was $844,056. Unlike some of the larger mountain communities in the area – such as Cashiers and Highlands – Lake Glenville has managed to keep a relatively low profile. If you want to live in a quiet community where neighbors know each other by name, you may consider investing in Lake Glenville real estate. For more information on available listings in Lake Glenville, be sure to contact me, Dorothy Swearingen. As I mentioned in a previous blog, wintertime may be an ideal time to sell your Western NC home since home buyers during this time of year are typically more eager to buy a home than any other time of the year. But since it’s also true that there are fewer home buyers are the market, it’s important to stage your home in a way that leaves a lasting impression. One thing that many home sellers do is create curb appeal. This includes trimming the bushes, sweeping the front porch and cleaning the shutters. After all, many home buyers will first judge a home by its exterior. Thus, it’s critical that your Western NC home has plenty of curb appeal. Continue reading to learn more tips on what you can do to increase your chances of selling your home in a reasonable amount of time. Mentally Let Go of Your Attachment to Your Home: This is something that’s easier said than done for many home sellers. After all, your current home may very well be where you started your family, and certainly where you made many precious memories. But trust me, mentally preparing yourself now for the day when you hand over your house keys to another family will save you a lot of heart ache and stress in the long run. Because that day will come and you don’t want to be blindsided when it does. De-personalize Your Home: As I’ve said in a previous blog, you want home buyers to be able to see THEIR family in your home, not your family. Thus, remove distracting details like the dozens of family portraits on the walls and tables. While a few accents will create a warm ambiance in your home, too many can prove to be overwhelming and off-putting for interested home buyers. De-Clutterize: Remember, you’re not selling the items in your home, you’re selling the home itself. So remove excess clutter that distracts from your home’s rooms and layout. A good rule of thumb is to get rid of anything you haven’t used in more than a year. You may also consider reorganizing furniture in a way that maximizes a room’s space and makes it look bigger. Organize Your Closets and Cabinets: Home buyers are often judging every little detail of your home, maybe without even realizing it! And disorganized storage areas suggest to potential home buyers that you may have not taken the best care of the rest of the house. Avoid sending that message by cleaning and organizing closet and cabinet space. One way to start is to make sure all your closets are hanging the same way in your closet. Store Irreplaceable Items: Buyers and sellers will often negotiate throwing in certain items and appliance with the home sale. So if there’s something in your home that you would never want to see end up on the negotiation table, then put it away so the home buyer doesn’t even know about it. Otherwise, you risk giving the home buyer a reason to pull out on a deal just because you won’t throw in the item they want. Address Minor Repairs: Remember, home showings are all about leaving a lasting first impression on home buyers. So you want to make sure your home is in the best shape possible. Help get it in tip-top condition by addressing minor repair issues, such as a leaky faucet or a cracked bathroom tile. While making these repairs may not cost much money, it can mean a world of difference on how a home buyer sees your home. I hope these home staging tips help you to sell your home in less time and for a better price. These tips have certainly helped plenty of other home sellers in the past! To learn more about how you can improve your outcome on the Cashiers area real estate market as a home seller, contact me, Dorothy Swearingen, today. Today I’ll continue my weekly series on real estate activity in the mountains of North Carolina by telling you about Lake Glenville. During the last several months, Lake Glenville has seen its average listing price climb and its home inventory fall. If you’re an interested home buyer, I suggest you continue reading to learn more about the current state of the Lake Glenville real estate market. This information will provide you with a helpful idea of what you may be able to get for a Lake Glenville home for sale. Compared with the week before, the average listing price increased by 0.7 percent. For the week ending on Nov. 16, the average listing price for a 2-bedroom home was $416,000. The average listing price for a 3-bedroom home was $576,000. And the average listing price for a 4-bedroom home in Lake Glenville was $765,000. The Western North Carolina real estate market is a constantly evolving and complex arena. Thus, it helps to work with an experienced REALTOR who can not only tell you what current market data is, but also tell you where the market is headed. To talk more about the state of the Lake Glenville area real estate market, and how it may affect you as a home buyer, contact me, Dorothy Swearingen, today. Now is one of the most popular times for people to buy homes on the Lake Glenville real estate market as well as the surrounding communities of Cashiers, Lake Toxaway, Highlands and others. That’s because people love to be settled in their new N.C. Mountain home right before the leaves start changing colors and fall gets in full swing. If you’d like to enjoy a Western North Carolina fall in all of its splendor as a new homeowner, I recommend you check out the Lake Glenville community – which is well known for its tranquil vistas and friendly neighbors. To get things started, check out the most recent data on the Lake Glenville real estate market below. During the week ending on August 31, there were 240 resale and new homes on the Lake Glenville real estate market. During the week ending on August 31, the average listing price for Lake Glenville, NC homes for sale was $761,844, which was a 4.1 percent increase when compared to the week before. During the previous week, the average listing price for Lake Glenville, NC homes for sale was $732,056. During the week ending on August 31, the average list price for a two-bedroom Lake Glenville home for sale was $353,000. During that same week, the average list price for a three-bedroom Lake Glenville home for sale was $603,000. In addition, the average list price for a four-bedroom Lake Glenville home for sale was $1,140,000. If you’d like to learn more about investing in a Lake Glenville home for sale – or about the community of Lake Glenville in general – then contact me, Dorothy Swearingen, your Lake Glenville real estate expert. I’ll be happy to answer any questions you might have as well as tell you about available listings. As an experienced Western North Carolina real estate agent, I frequently talk with home buyers interested in purchasing a Lake Glenville home for sale. This community, which was settled in 1827, is well known for its elegant homes, friendly neighbors and extraordinary natural vistas. Continue reading to learn more about the current state of the Lake Glenville real estate market – and what to do if you’d like to purchase a Lake Glenville home for sale. There are currently 247 resale and new homes on the Lake Glenville real estate market. The average listing price for a Lake Glenville NC home for sale was $723,131 for the week on August 3, which was a 0.2 percent decrease from the previous week. During that previous week, the average listing price for a Lake Glenville home for sale was $724,813. During the week of August 3, the average list price for a two-bedroom Lake Glenville home for sale was $346,000. During the week of August 3, the average list price for a three-bedroom Lake Glenville home for sale was $650,000. During the week of August 3, the average list price for a four-bedroom Lake Glenville home for sale was $1,150,000. The Lake Glenville, NC real estate market is a constantly evolving arena. And if you’re a Lake Glenville area home buyer working with yesterday’s market information, it could end up costing you precious time and money. That’s why I recommend that you work with an experienced Western North Carolina real estate agent like me, Dorothy Swearingen. Contact me today and I’ll provide you with the most up-to-date information on the Lake Glenville real estate market as well as with a number of invaluable Western North Carolina home buying resources. The North Carolina mountains are well known for their scenic vistas during the spring and fall. However, visitors will find that there’s plenty of reasons to journey to the North Carolina Mountains during the summertime as well. One of those reasons: white water rafting. This exciting sport gives you one-of-a-kind views of the North Carolina Mountains while giving you quite a workout and adrenaline rush. A recent article in the Asheville Citizen-Times gave some tips on how to plan a whitewater trip in the North Carolina Mountains. Continue reading to learn more about these useful tips. According to the article, one of the first things you should consider when charting a whitewater trip is the minimum age allowed on a river. Next step is to pick what paddle you’ll use. After that, consider how much you want to spend on the trip. While some places such as ones on the Nantahala charge just $19 to rent a raft, the Chattooga charges as much as $400 for a multi-day trip. The paper notes that the average price for a half-day, guided trip is $45 a person. That price includes a guide, transportation to the river entrance, gear and even lunch. Lower Pigeon: A Class I-II river that is also good for families with children and first-time paddlers. This river is located in Hartford, Tennessee. French Broad: A Class III and IV river in some sections, which means this river is for more skilled paddlers. Upper Pigeon: A dam-controlled river located in Hartford Tennessee. This river is also good for families with children, as evident by the minimum age requirement of 8. Chattooga: A rapidly moving river near Cashiers in Jackson County. This river is well known for its scenic beauty and thrilling tours. If you’re the kind of person who has a great appreciation for natural beauty, I recommend that you consider living in the North Carolina Mountains. This area is overflowing with natural beauty, which locals make use of everyday through whitewater rafting trips, hiking, biking and more. If this sounds like the kind of lifestyle that complements your interests, then contact me, Dorothy Swearingen. State lawmakers recently decided to cut the state’s landslide mapping unit, which was created to assess which mountain slopes are most likely to create a landslide. The Smoky Mountain News reported that five state geologists who were working on the maps were laid off this week. The state’s decision will save about $355,000 a year. Continue reading to learn more about what this means for Highlands, NC area home owners and buyers. The team was in the process of studying Jackson County’s mountain slopes when the state cut their funding. The state’s landslide mapping unit has faced controversy since the beginning because many critics felt that mapping the landslide hazard zones would make it harder to sell property in those zones. Critics of the mapping unit also questioned whether the unit’s conclusions were accurate. But others thought that the landslide unit was a great public safety initiative – providing mountain residents with vital information about at-risk areas. Since landslides typically follow predictable paths, proponents also said that the landslide maps wouldn’t hurt property values, but rather help people figure out on which side of a lot to build their home. In fact, experts say that mapping where old landslides happen is the best way to predict where future slides will take place. The geologists working on the landslide project relied heavily on old landslide sites to predict whether a slop was at a low, medium or high risk for a future landslide. Macon County officials hope to use the findings by incorporating them into a new steep slope ordinance. A handful of other Western North Carolina counties – including Jackson and Haywood – already have such an ordinance. To view Macon County’s landslide map, visit www.geology.enr.state.nc.us/Landslide_Info/MaconCounty.html. A partial map for Jackson is expected to be posted soon to wfs.enr.state.nc.us/fist/. What do you think of state lawmakers’ decision to cut funding to the landslide hazard map-making unit? Let me know! And if you’re thinking about entering the Highlands, NC real estate market as a Highlands area home buyer or home seller, then contact me, Dorothy Swearingen. As a Highlands, NC REALTOR, I strive to keep up-to-date on the news that affects Highlands area home buyers and Highlands area home sellers so I can help them make educated decisions on the Highlands area real estate market.